The burning question on everyone's mind when Allo was released - "can you send SMS?" The answer, as seemingly common with Google products, is "it's complicated." Allo-w me to explain the answer, and more of Allo's quirky behavior, below. What happens when I send a text to someone without Allo? You can continue to send texts to that person, but the texts will come from that proxy number, and not from your personal number. The other person can reply to your texts from that number, and they will appear in the conversation in Allo. So, in summary, all SMS communication through Allo is sent through a relay number, not through your phone's number. 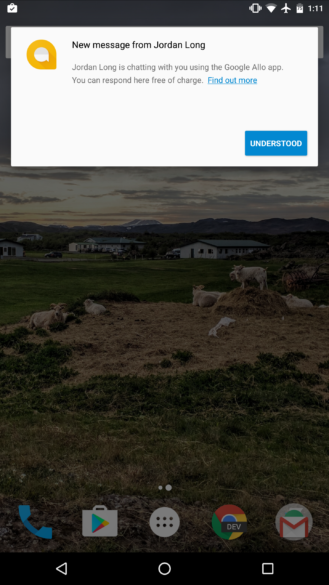 On Android, Google has added the App Preview Messaging API as part of Google Play Services. 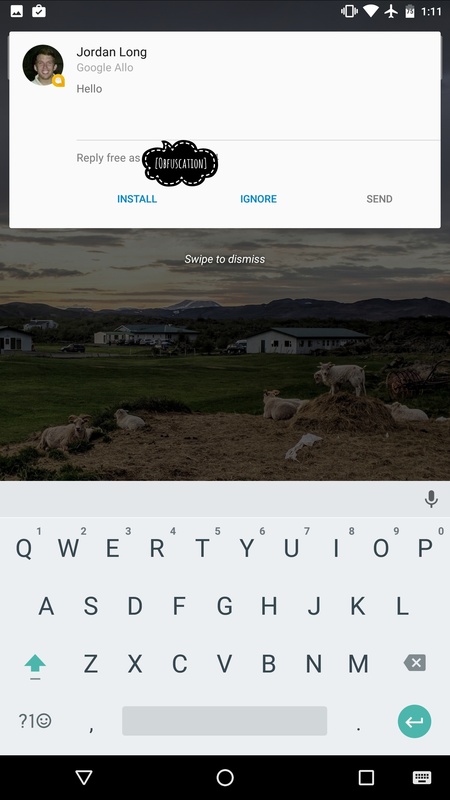 Applications that use this API can send messages to any Android device, even if the other device doesn't have the app installed. Allo is the first application to use this new API, and as you can see below, it allows Android users to receive Allo messages (and respond to them) without installing it. 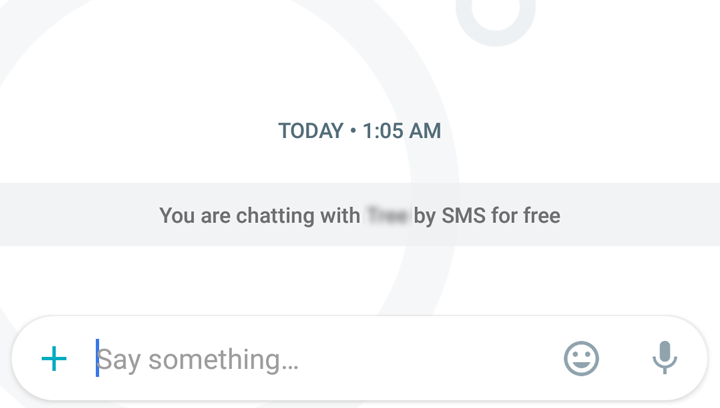 Can I set Allo as my default SMS app? No, it does not appear as an option. What happens if I delete Allo? You will not receive messages sent to you through Allo unless you re-install the app. Allo does not de-register your number when you uninstall the app, so any messages will continue to be sent to your Allo inbox. Android owners who once owned iPhones may remember having this problem. If you switched from an iPhone to an Android device, you would cease to receive SMS messages from iPhones until you de-registered your number with iMessage. How do I re-register my phone number in Allo? If you open Allo's application settings, there is a Disconnect button. What happens if I activate Allo on another device? Is connecting a Google account required? No, connecting a Google Account to Allo only allows Google assistant to learn about you and provide better results. Complicated enough for you? Hopefully Google will iron out some of these issues as time goes on, but its current SMS behavior is almost worse than no support at all. If you want to make the plunge, grab the latest APK from APKMirror.